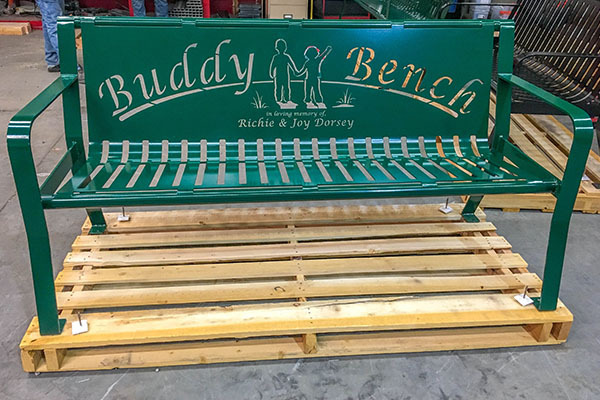 The Custom Buddy Bench that is the perfect addition to school playgrounds. 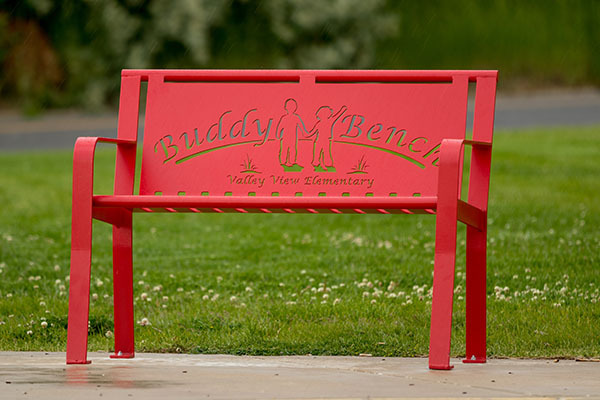 Looking for a buddy bench as an addition to your school courtyard? 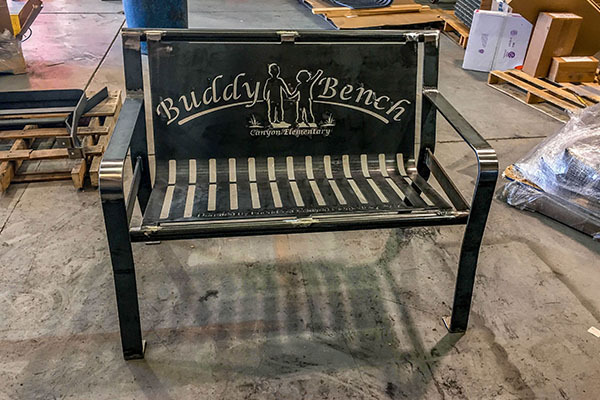 At Smith Steelworks, we design durable buddy benches that are available with custom laser cut name inscriptions, powder coating colors, and size options. We cut each bench from a single sheet of metal that is bent into place. This process allows for fewer welds; creating a stronger, more durable bench. 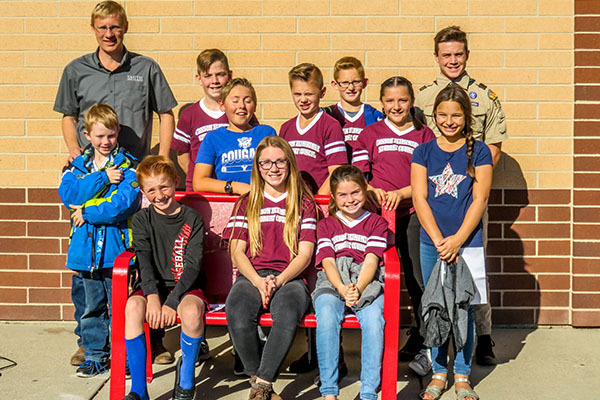 To get started on your school’s bench, give us a call at (801) 414-1724. 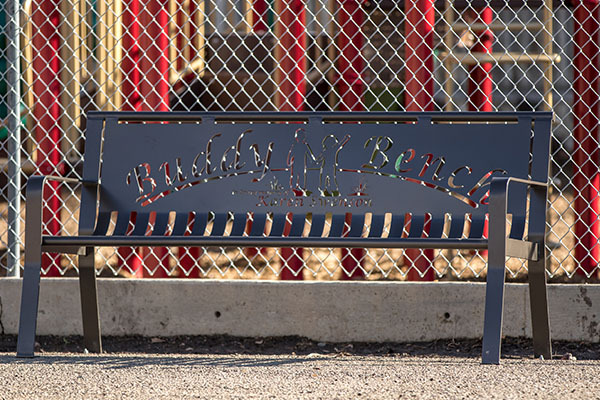 The Buddy Bench started out as a simple concept to help eliminate loneliness on the playground while creating new relationships. If a child is feeling alone all they need to do is sit on the bench. Other children will notice them and invite them to play. 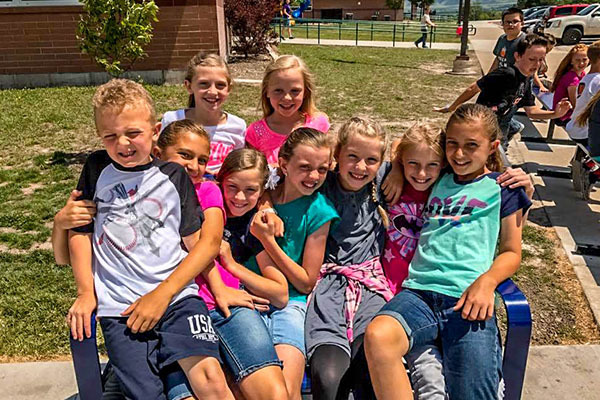 Schools across the U.S.A. have joined the movement to bring benches to their district. 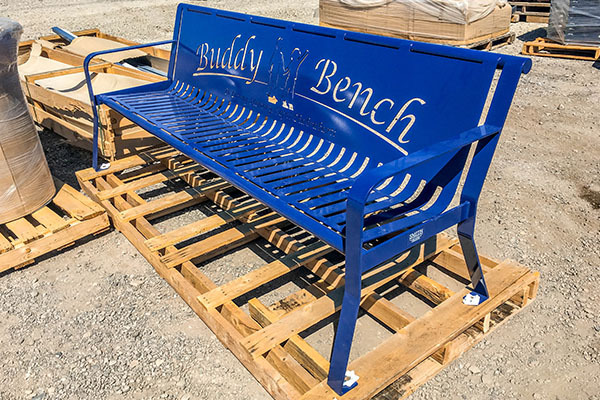 Be sure to specify which type of bench style you would like for the Buddy Bench. We offer three styles: Classic, Arched, and Metropolitan. 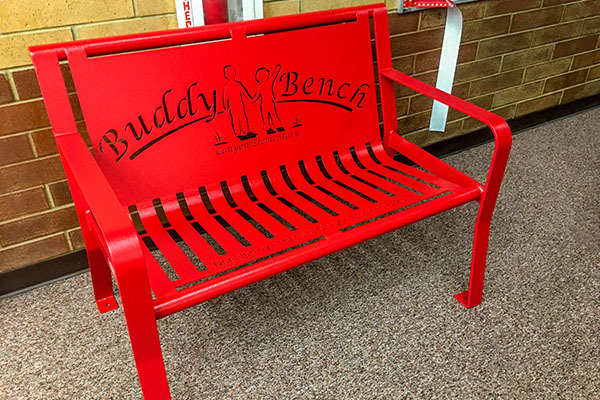 Are you ready to join the Buddy Bench Movement? Check out some of our recent benches! 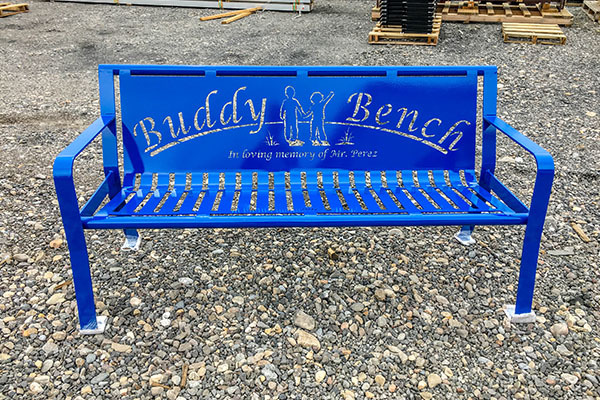 At Smith Steelworks, we offer a large variety of powder coating colors to make your Buddy Bench standout. All of our colors are available here. Each bench is powder coated for a durable finish. Powder coat is twice as thick as average paint and is resistant to chips, scuffs, and scratches. This prevents rust and corrosion from forming on the bare metal. The metal bench is designed from a single sheet of metal that is bent into shape. This process requires fewer welds; yielding a stronger bench.